One of 4 specially designed weathervanes depicting the history and culture of the North Yorkshire seaside town of Whitby. 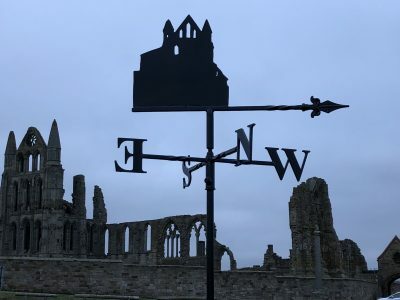 The Whitby Collection comprises Whitby Abbey, Captain James Cook, Dracula and Flying Bats. These vanes will be made to order. 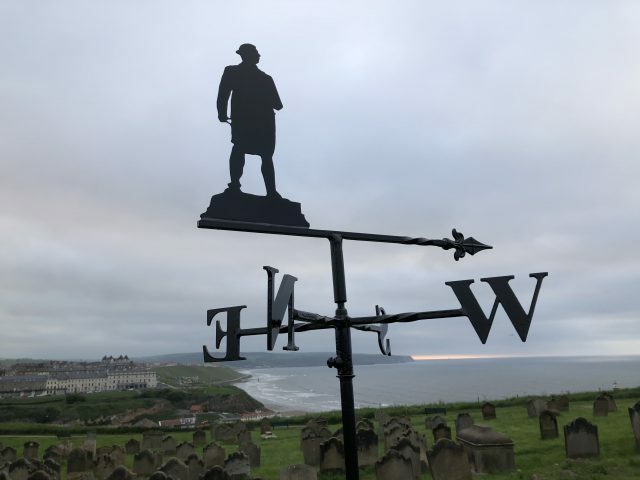 Captain Cook Weathervane – a handcrafted weathervane depicting the Whitby based Captain James Cook, who sailed from the port to Australia on his ship the HMS Bark Endeavour. 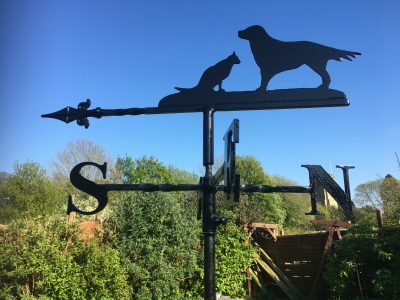 Captain Cook weathervane handcrafted by Chris Clarke who is a traditional blacksmith with over 20 years experience of producing beautiful, high quality ironwork. 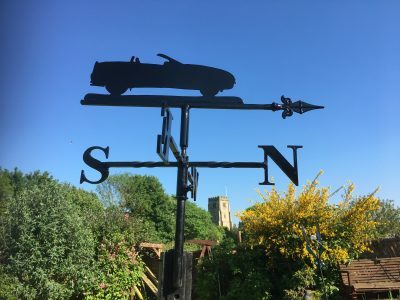 Chris has designed this series of 4 weathervanes to reflect the history and culture of this fascinating Yorkshire seaside town. 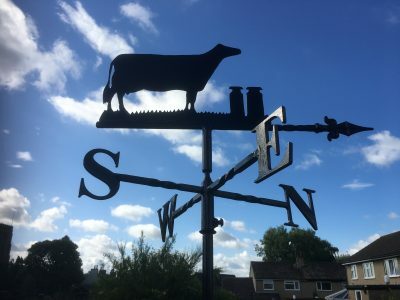 Traditionally weathervanes have been mounted on the gable end of a house, garage or other solid structure. More and more people are acquiring these beautiful, as well as useful, items for their home. 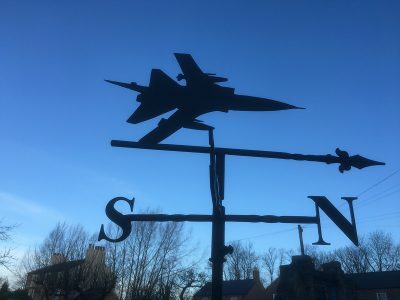 Therefore we can supply vanes with ridge fittings, roof fixings or with a post fitting so that the vane can sit on a post in the garden, visible to those inside the house. We balance our weathervanes on knife edges in the making, and they rotate on a free running, single ball bearing. They are finished in a high quality, weatherproof black gloss produced locally in North Yorkshire. 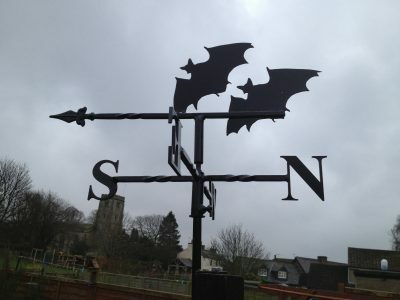 Most importantly ,all of this results in a weathervane that will work accurately and trouble free, and last a lifetime. With regards to size, a medium vane measures 21″ (54cm) across the cardinal points and is approximately 25″ (63cm) tall from the wall mounting to the bottom of the motif. This does not include the height of the motif which of course will vary depending on the design. The offset from the wall is 3.5″ (9cm) as standard but we can always make this more or less if needed. Medium is our most popular size.